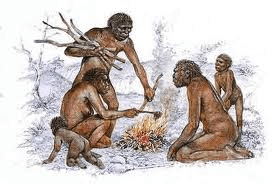 In anthropology in the ‘60s, my teachers attributed all human development to gradual evolution. A Miocene or Pliocene anthropoid ape that evolved from simpler primates slowly, in turn, evolved over millions of years into us [Clark, D., W., 1959, History of the Primates:178]. We multiplied as we planted food, created cities and developed ever-more effective technologies. Yet, in terms of biological evolution, we lacked linking intermediate skeletons of primates from which the teachers thought we evolved and modern findings indicate several contemporaneous advanced hominids co-existed with Homo erectus, and may have been the product of human settlement on Earth long before Enki and crew colonized Earth, some 400,000 years ago. 10) “Homo erectus, our half ancestor took a million years to go from rough stone tools to smooth ones” we’re going to Mars in just 200,000 years. Great article and interesting points you brought out about evolution, but either way, if you just think logically for a minute, you will see that there is still an evolution going on. We are still becoming more advanced beings with the technology that’s still coming out and the things that we’re capable of doing nowadays. Just pay close attention and you will see. I could give you many examples of our current evolution & how things are still evolving. Ace from: What Is The Illuminati ?